Lomography brings 110 film back from the dead! Lomography have brought back a whole new range of 110 film and named the first film after one of the biggest creatures out there – The Orca! The 110 Orca will please your pocket camera with ISO 100 and crispy black & white tones – only 5.000 pieces of the first production run available! The all new Black & White film Orca Lomography's very first 110 film and only the peak of an 110 film iceberg that is waiting to be released. Finally all the vintage pocket cameras out there will be loaded with fresh new film to end their useless and dusty days in collector’s shelves out there. 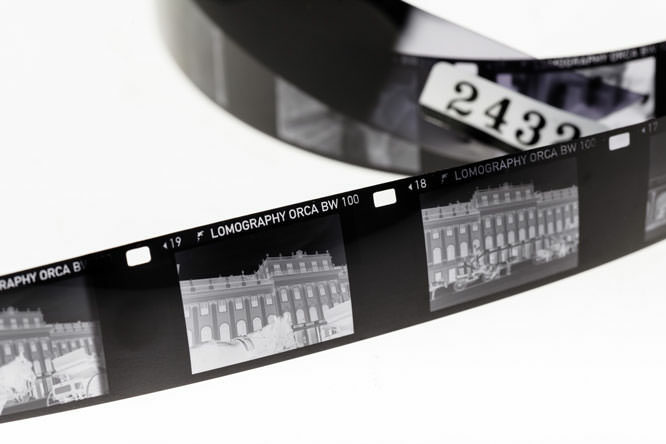 The first production run has a special unpredictable feature – a missing back paper that allows the last four pictures to catch some light leaks. If you belong to the species of brave-hearted Lomographers – give the Orca a try! For more information please visit the Lomography website. Nice to see this product, Hope they have solved the old 110 problem of the film plane changing when you wind on!